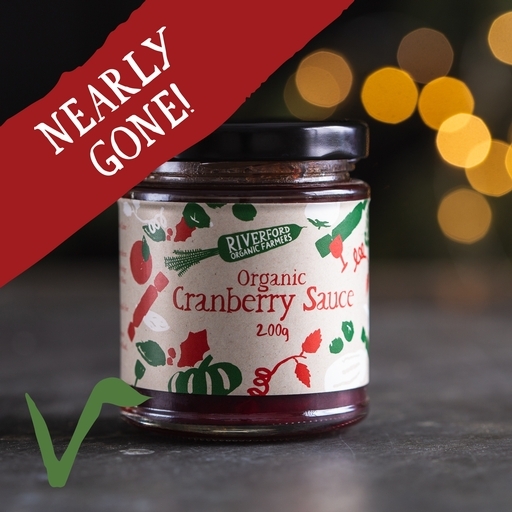 Organic cranberry sauce, handmade in small batches using plump whole cranberries. This is a juicy, slightly tart sauce, unlike the overly-sweet jelly versions. There’s no need to stop at the roast – it brings life to leftovers and works as a fresh relish with soft cheeses. Store in a cool dry place. Once opened, keep refrigerated and use within 6 weeks. Cranberries (80%), raw cane sugar, lemon juice, water*.